For this pattern I wanted a Santa, but I didn’t want the traditional Santa hat. (Don’t worry, I’ll get to that later on.) I think this hat represents Santa in a great new light! It really shows off his suit. 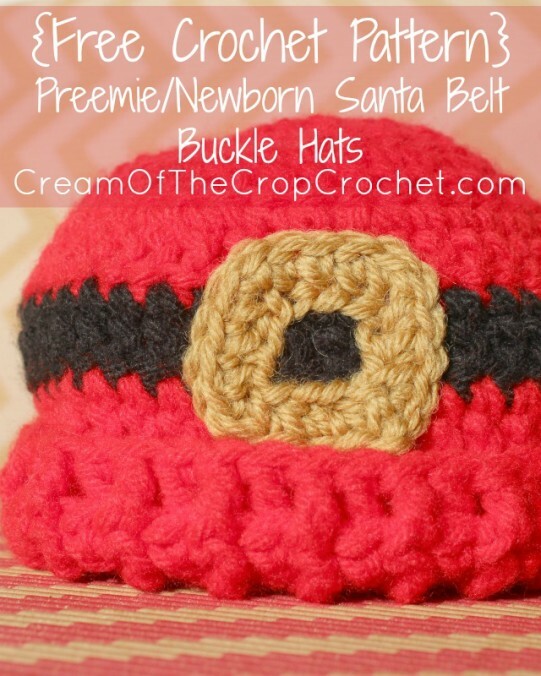 The Preemie/Newborn Santa Belt Buckle Hat uses worsted weight yarn and a G-6 (4.00 mm) crochet hook. Of you’re looking to expand from easy to intermediate. To add to the cuteness, you could even add a small white pom pom on top! 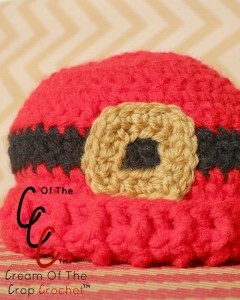 I’d love to see how you customize this hat to your own! This is the traditional Preemie/Newborn Santa Hat if you would prefer that instead. We recommend Lion Brand, Vanna’s Choice. *Change the hook size to obtain the gauge. This pattern is written in American Crochet Terms. 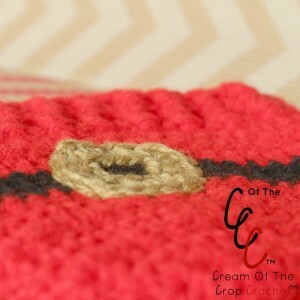 Start in the same stitch as chain. In the amount of stitches you should have at the end of the row, (ex. 11 sts). The count does include the chain. Cut yarn and change to black yarn. 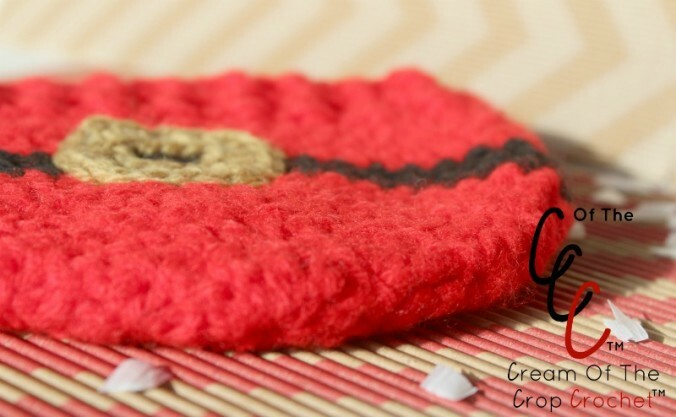 Cut yarn and change to red yarn. Pattern and photos © 2014, Cream Of The Crop Crochet™. All rights reserved.